The perfect carpet for your home or business. Pick and choose from colors you love. 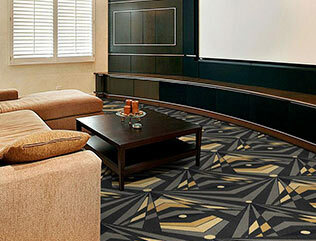 Complete your home theater with carpet. Carpet, carpet, carpet. It seems like the whole world is covered in the stuff. Carpet has been around for many years, but it wasn’t until the 1950s, that it became the hottest floor that anyone could buy. 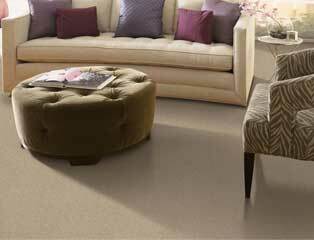 With its softness, durability, and ease of maintenance, this floor became the standard in most homes and businesses. Over time as other flooring types came to markets such as vinyl and laminate, carpet has started to lose some of its star power. Carpet is still the number one flooring type used in any building, but other kinds are starting to eat into its dominance. So you ask, why should I still buy carpet for my new home or business? Well, let's break down some of the significant aspects of this floor. First, let’s start with carpets history. Broadloom carpet has been around for many years, but it wasn’t until the 50s that it became more popular than other flooring types. So why did it take so long for carpet to take off you ask? Well, the number one reason was cost. Before WWII and the invention of synthetic materials, all carpet was made from wool or cotton. But during WWII, nylon was created, and the world went crazy. Now things that were once out of reach of most people were now made more affordable with this advent. Eventually, carpet became the number one flooring type in the world. From homes to business, some form of carpet can be found, but not all carpet is the same. So how is today’s carpet better than the stuff from yesteryear you ask? First, carpet today is made to last longer than carpets made previously. Most carpets today feature stain resistant additives that help to not only resist staining, wearing, and soiling, but they also help to make the carpet hypo-allergenic and bacterial resistant. All of these properties are things that were not found in your momma’s carpet. Carpet features more modern looks. 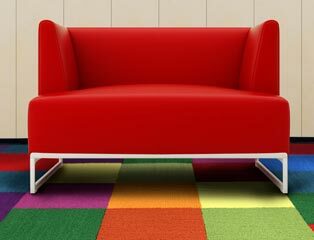 Carpet is very versatile and can be made into any style or color desired. 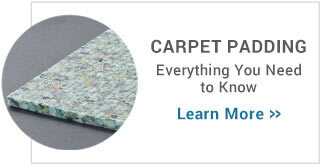 This has kept carpet relevant in today’s marketplace even though other flooring types are gobbling up market share. Next, carpet is very affordable and comfortable. Compared to other flooring types, carpet is the most cost effective way to floor any room in your home or business. Carpet is very comfortable underfoot which is very important in bedrooms, basements, living rooms and family rooms. Lastly, carpet is a great insulator. Carpet will provide warmth to many areas of your home where installed which is pertinent in the colder areas of our country. 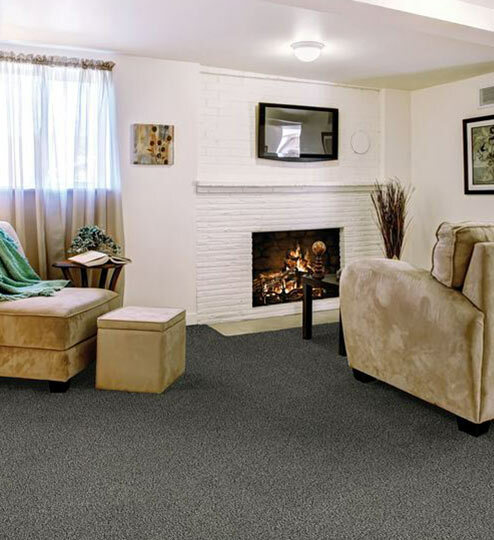 This makes carpet the perfect choice for basements and bedrooms. Carpet is also great in commercial areas for its insulating properties. This time its for sound rather than temperature. In most business, excess noise is a huge issue and the best and most economical way to reduce it is to install carpet. So now that we have presented some great arguments for why you should choose carpet for your home or business, let’s find out what type of carpet will work best for your application. 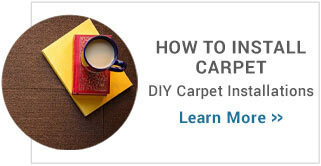 The first thing you should consider when buying your carpet is what type of fiber is it. There are several types of fibers used to make carpet. Below is a breakdown of the different types. Nylon - The most versatile fiber. 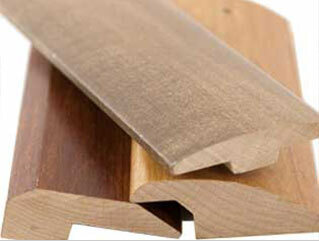 Ideal for indoor installations, not as durable in outdoor applications. Polyester - Polyester or “PET” is a fiber that is very durable and is produced more cheaply than nylon. This thread has started to become the standard fiber used in many carpets and can be utilized in both indoor and outdoor applications. Olefin - This fiber is the cheapest fiber used. 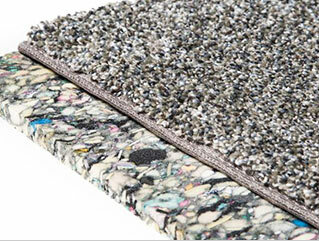 This carpet fiber is typically the one used in businesses and apartments. It is not as durable and can be stained easily. Wool - Wool is the Rolls Royce of carpet. It is the most expensive fiber and softest to the touch. So what type of fiber should you buy? Well, that all depends on where you are going to install your carpet. For outdoor areas, a Polyester type carpet is the one you want to use. This carpet will not fade in direct sunlight. For areas where a lot of traffic will be had, we would recommend using a Nylon carpet. Nylon is the most durable of the carpet fibers and is typically Class 1 fire rated. 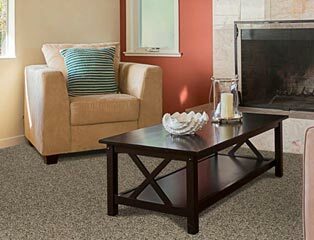 If you are looking for a carpet that is more entry level or for a temporary area, then Olefin fiber carpets are the way to go. And if you are ‘Mr. Biggs’ then we would recommend using Wool. The next thing to consider is fiber pattern or style. Pattern or style is not only important in regards to the look and feel, but also to durability. The different types Cut Pile, Loop Pile, and Cut & Loop. Cut Pile carpet is loop pile that has been cut to the same height and allowed to tuft slightly, giving the carpet a dense, soft appearance. This type represents the largest segment of residential carpet. Examples of this type of look are Saxony, Textured Saxony, Frieze, and Cable. Loop Pile carpet is how all carpet starts. This pile is uncut and is commonly known as commercial carpet. 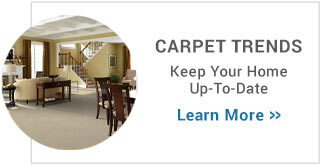 This carpet is also very popular in basements and other high traffic areas. The reason these are so popular in these areas is that the pile helps to hide the dirt and debris that is left in these areas better than other types. Cut & Loop Pile combines both the Loop and Pile types which create some fun and unique patterns in the carpet. This style is great at disguising foot traffic and wear. So now that we know the different types and styles of carpet let’s break down what carpets would be perfect for different rooms in your home. Basements: For basements, the best types of fibers to use are stain resistant nylons and polyester. The style of the carpet used will depend on where the carpet will be installed. 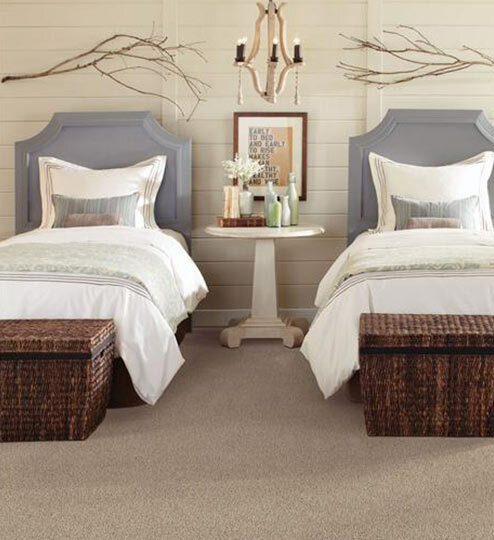 In bedrooms, a plusher carpet would be desired which would lean more on the Cut pile side. For higher traffic areas such as a hallway or stairs, a Loop pile would be preferred. Living Rooms:Living rooms are supposed to be inviting and comfortable. In this room, a stain resistant nylon or polyester would be the best fiber, but wool carpets are also a great option here as well. Style wise, a classic Cut pile or Cut & Loop style would be the best to use. Family Rooms: Like living rooms, this room should be inviting and comfortable. But unlike the living room, this room will get a ton of traffic. We would recommend using a stain resistant nylon or polyester fiber. 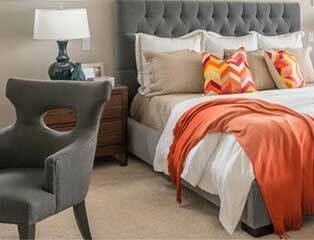 The type of style that would work best in this area would be Loop pile or Cut & Loop Pile carpet. Both of these will help to reduce the appearance of dirt and debris. Dining Rooms: For dining rooms, you will want to use a stain resistant nylon or polyester, ensuring your carpet looks as good as it can after little Johnny drops spaghetti all over the floor. The styles that would work best would be Loop piles or Cut & Loop piles. They will help to hide any dirt. Hallways and Stairs: For hallways and stairs, you will need a carpet that will stand up to the high traffic that is found in these areas. The best types of carpets for this are nylons and polyester fibers. The type of style you will want to use is a Loop pile. Loop piles stand up to the daily wear and tear found in these areas of your home. 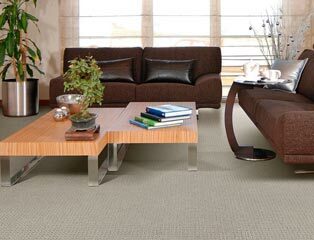 Commercial areas: Most commercial spaces use entry level Olefin carpet fibers. This fiber is durable and strong, but does not last very long and is very hard to clean once stained. The best fibers for any commercial environment are stain resistant nylons and polyesters. Both of these can handle a lot of traffic and are will help to hide wear and tear gracefully. Solution dyed nylon is the most commonly found type of fiber used. A Loop pile is the most common style used. This pile style helps to reduce the appearance of dirt and wear. Outdoor Carpet: For outdoor patios and decks, we recommend using a polyester or olefin carpet. Both of these carpets are durable enough to withstand the harshest weather and will not fade in direct sunlight. The best pile style for outdoor use is the Loop pile. All carpet orders are shipped freight. For more information on freight delivery, please contact one of our sales representatives to get the low down, as it varies on a case by case basis. Don’t worry though - you will not be asked to take your new carpet off the truck. We cover the cost of lift-gate and curbside. You are only responsible for getting your new carpet inside and enjoying it! Love your new floor? 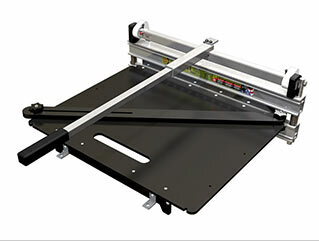 Snap a photo and send it over to reviews@rubberflooringinc.com to be entered for a chance to win a $50 AmEx Gift Card! OR share on Facebook or Instagram and tag @RubberFlooringInc with hashtag #RubberFlooringInc, then send your shared URL to reviews@rubberflooringinc.com. Want to win? Check out these tips! 1. Clean it up. Put away the stray objects, and get that room looking ready to impress to get the cleanest, most attractive shot of your floor. 2. Lighting, lighting, lighting! Is everything! Dark, evening shots will not get you the winning photo. Open the blinds and let that natural light shine in! If you really want to get fancy, take a look at where your light is coming from. Shooting directly into the light can come out harsh and blown out - try experimenting with different angles. 3. Action. We love photos of people enjoying our products and voters do too. We'd love to see the flooring in action. RubberFlooringInc is committed to making your healthy life achievable, accessible and fun. We offer the best prices on rubber gym flooring because we want fitness to be a possibility for everyone. If you find a price that’s better, we’ll match it. Simple as that. RubberFlooringInc is a small, culture-based company. We pride ourselves in giving customers the best knowledge, while still keeping it real. We offer the fastest lead times because, well, we wouldn’t want to wait either! Our mission is to help you achieve your goals with style, ease and efficiency. We are a team, a community, and we’d love to have you join us.